Linked lists are not an all purpose tool. In fact, the first time you play with a linked list will probably be to help develop your conceptual understanding of computer science theories. But you already, undoubtedly know a little bit about their functionality through other ruby data structures. When the node is initialized, it has data as well as a pointer to the next node (this can be set to nil, if the proceeding node does not exist or is itself a nil value). Now lets get in the console and play! In a singly linked list there is a head, which represents the beginning of a linked list. To create this relationship, we will need a new object, our Linked List object, composed of our node objects. To insert the string “the abc’s” into the 0 index, we would need to first create a new node object with the data “the abc’s” and set our new node object’s pointer to a, the current head of our linked list. 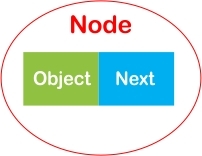 This adds a node object at the beginning of our linked list by first creating a new node object, and then setting it’s pointer to the current head object (the first object in the list). Now, what if we wanted to insert a value in the center of our linked list? To insert “psych” into the third index, we would have to move to the second index to get b, create a new node, “psych!”, set b’s pointer to “psych” and then set the pointer of our new node to c.
Our new code would look like this! new_node = Node.new(value) #new node "psych!" current.pointer = new_node #b's next is "psych"
Please note, that this method will not work if you want to insert a new note at the beginning of the linked list, for this your user should be directed to the unshift method. Now, onto the bigger questions: Why would we want to use a linked list instead of an Array? And there you have it. The hows and whys of linked lists. Good luck on your next and all future interviews!